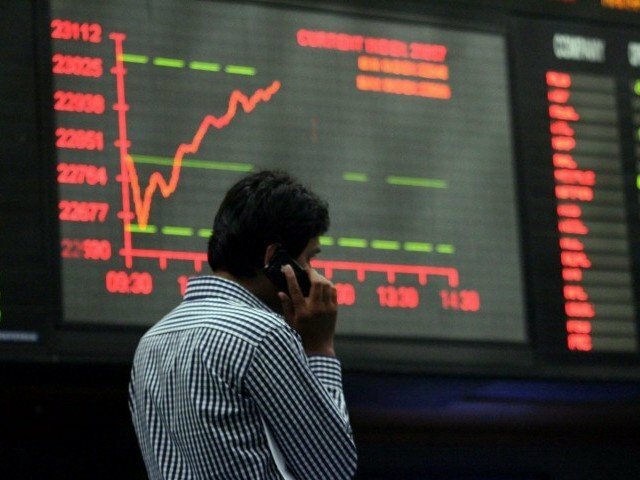 The Karachi stock market cherished the news of the postponement of the monetary policy and opened the week with a 1% gain, rebounding after a dismal last week where the market shed 4%. Reacting to the news, many sectors which drive the index rebounded. Moreover, recovery in regional markets also helped boost investor confidence. The market has twice seen a correction of over 1,000 points in the month of August. The monetary policy will now be announced on September 13, and more importantly after the meeting of the International Monetary Fund to approve a $6.5 billion loan package to Pakistan. Market expectations on discount rate are now even more divided, ranging from status quo to an increase of 100 basis points. The Karachi Stock Exchange�s (KSE) benchmark 100-share index gained 0.91% or 207.56 points to end at 22,922.24 points. Trade volumes climbed to 202 million shares compared with Friday�s tally of 171 million shares. With low volumes, the market recovered 1% to regain some of the 4% lost in the previous week. Decision against gas price hike and delay in monetary policy supported equity values, reported Samar Iqbal, assistant vice president of equity sales at Topline Securities. Local oil stocks rallied amid increase in international oil prices, Iqbal added. The decision of the government against gas price increase spurred buying in fertiliser giants Engro Corporation and Dawood Hercules to their respective upper locks along with stimulating bullish activity in other industries. Shares of 362 companies were traded on Monday. At the end of the day 233 stocks closed higher, 87 declined while 42 remained unchanged. The value of shares traded during the day was Rs7.24 billion. For Engro, the announcement of listing its fertiliser division boosted buying as the initial public offering due in October is likely to result in a massive one-off gain for the company. Cement sector, which has corrected 10-15% in the recent downturn, were the first to rebound after the news of delay in monetary policy with DG Khan Cement, Maple Leaf Cement and Lucky Cement leading the charge. Amongst banks, National Bank of Pakistan saw a sell-off due to the postponement of the State Bank�s monetary policy announcement where analyst expected a hike and rise in the sector�s profitability. Nimir Industrial Chemicals was the volume leader with 19.67 million shares gaining Rs0.47 to finish at Rs6.48. It was followed by Fauji Cement with 16.41 million shares gaining Rs0.48 to close at Rs14.75 and Engro Polymer and Chemicals with 12.7 million shares climbing Rs0.37 to close at Rs14.2. Foreign institutional investors were net buyers of Rs14 million, according to data maintained by the National Clearing Company of Pakistan.